The GO case erectors are designed to maximise flexibility and performance. 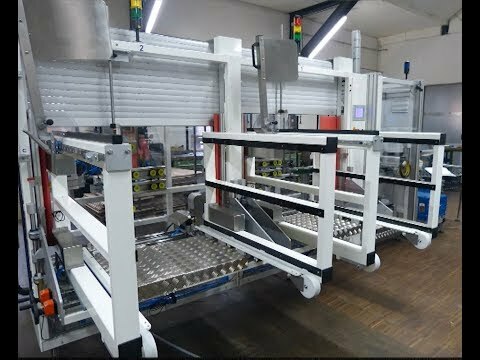 The use of multiple magazines allows the production of different sized cartons simultaneously. This is important in warehouse and dispatch applications where the product mix is not consistent. It is also suited to product environments where required output by line is low and the GO 795 can be used to supply multiple lines. The GO 795 can be supplied with Hot melt closure, self adhesive tape or gummed tape. Gummer tape closure provides the seal required for air freight.